I don't know if this is 'normal' thing, or just a thing that happens when you are a little food obsessed but lots of my happiest memories involve food....glorious food!! I'm wondering, does everyone have particular meals that evoke happy memories or a particular food that makes you happy? Not chocolate - that makes everyone happy! I mean something that is comforting or familiar or makes you feel cared for and loved, or something that you remember so clearly you can still remember the taste and how you felt? Most of the best meals I've had are from travelling or being on holiday. I guess these are times when we are at our happiest so maybe it follows that they make my elite happy food lists! My happiest food isn't at fancy restaurants. It's lovely to get glammed up and go for a treat to a great restaurant with amazing food, good wine and all that jazz - but actually for me, it's not a patch on stumbling across something unexpected that surprises you with its deliciousness! Street food for this very reason rates highly in my books for making my taste buds happy! I'm not taking dirty burger vans outside a nightclub (although they have their moments!). I mean real, authentic, fresh and simple food cooked to perfection whilst in the midst of somewhere slightly more exotic than the UK and where flip flops are required. Despite my poor memory, I can SO clearly remember my first taste of a breakfast dosa in India on a metal tray; the best gyros waiting for a ferry in Greece sat in the sun and the most indescribably delicious type of 'flat bread' in China. I say 'bread' for want of a better description - I still to this day have no idea what it was. My ultimate food memory though is of a thai beef salad so amazing it wins the prize as THE best food moment of my life. Really though - is there a better taste combo than chilli, fish sauce, sugar and lime? NO! These were all divine, exquisite tastes that you couldn't replicate if you tried...and believe me I have tried! Was it the actual food, the circumstance, the presence of a hot yellow thing in the sky? Who knows, but whatever it was- the happy memories sit there as clear as day ready to make me smile. I have so many happy food memories too from when I was little girl. 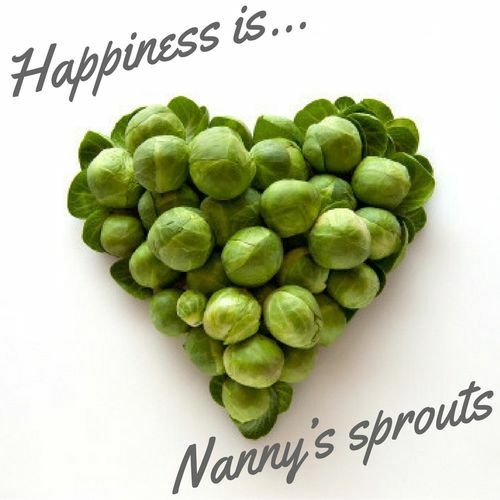 I used to LOVE my nanny's sprouts when we stayed with her in the caravan. They were always lovingly peeled and crossed with a knife (why?!). She would do this whilst sat in the sun (fag in hand! ), already as brown as a berry with the sweet peas growing behind her and Lucky the Jack Russel sat at her feet! The nicotine infused sprouts were then boiled away in a steaming salt bath for around 20 hours until it was a certainty there was no nutritional content was left. 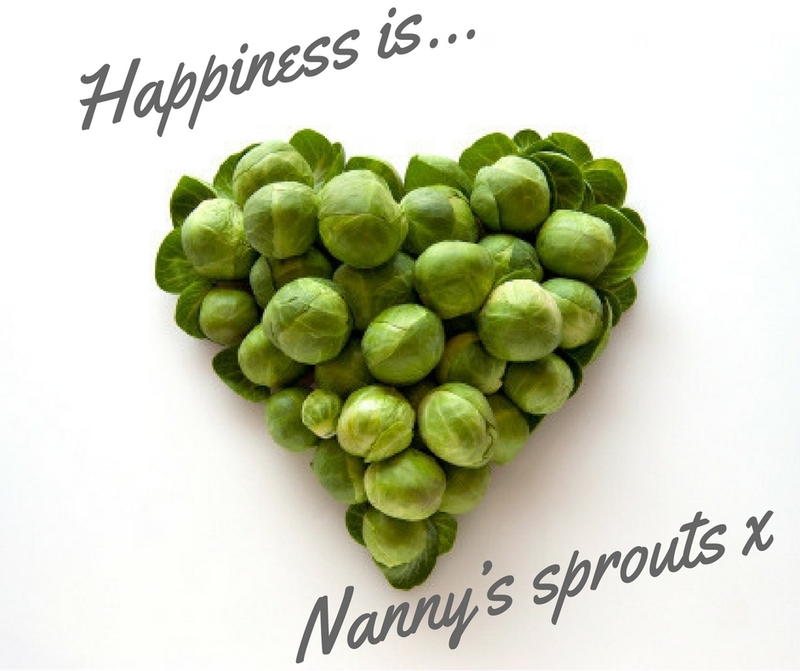 I LOVED those salty, soggy 'sprouts' almost as much as I loved my nanny. They were every shade of wrong but they were the best - and so was she. At home too I have lovely food memories but there is one particular meal that I used to love so much. It is nothing special or fancy - in fact quite the opposite. It was always made with love though and I think you can taste that no matter how uneducated your taste buds are at 8 years old. My mum used to make us some amazing meals (her corned beef pie needs a mention - it was UNREAL). It was however her simple spaghetti dish that is everything that is warm and comforting and right with the world. I cooked it for my children the other day for the first time and the pressure was on - I was so nervous they wouldn't like it and would dent my happy memories of it. Thankfully they loved it! I hope you may want to try it, I know it sounds odd but it is lovely I promise! It is super easy, great if you need an emergency 'cupboard' meal and is so cheap to make and takes hardly any time. Please let me know what you think! I was thinking of adding some cooked chopped bacon to it, but that wouldn't have been true to my mum's recipe then. I can't help but think that a happy memory doesn't need any other ingredients thrown in, it's perfection just as it is. Cook the spaghetti and in another pan, melt the butter and gentle fry the onion until softened. Add the tomato soup and heat through followed by the grated cheese. Give it a good stir through and mix well with the cooked spaghetti and serve to hungry brood. If your kids can detect a piece of onion a mile off, give the sauce a quick blitz before adding the cheese and they'll never know!